Iran remains the world’s leading state-sponsor of terrorism. Iran’s regime uses terrorism as a tool of its state-craft, and it has no reservations about using that tool on any continent. Click here for the full State Department report of Iran. The terrorist operations of the Islamic Republic have never stopped in the past four decades. They have caused tragic and catastrophic death of innocent people in the Middle East and all around the world. Since the 1979 revolution, Tehran has also used a wide range of its terrorist agents and mercenaries to assassinate Iranian dissidents around the globe. The Qods ٴForce (QF), affiliated with the IRGC (Iran Revolutionary Guards Corps) is responsible for the export of the mullahs so-called revolution and carrying out Iran’s terror operations abroad. This force is under the command of Ghasem Soleimani, who is currently in terror list of US. Ghasem Soleimani has a hated face in the Middle East because of his massacre of Syrian people, the purge of Sunnis in Iraq, and etc. 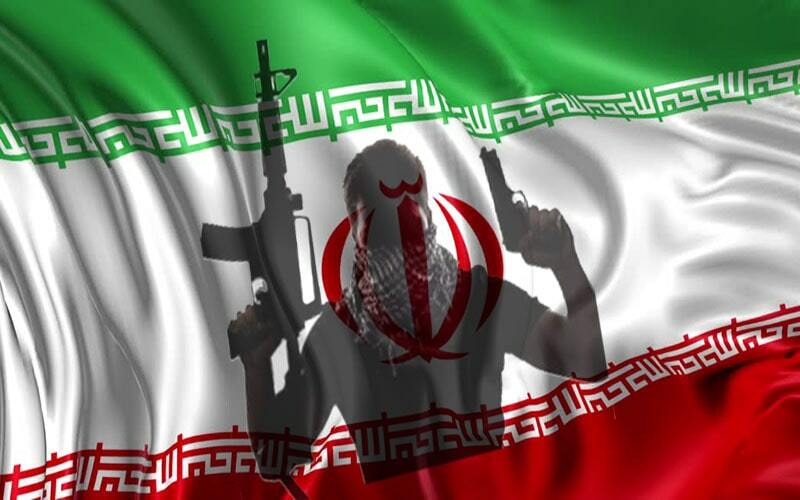 In addition to the QF and the Ministry of Intelligence, to assassinate Iranian dissidents abroad, Tehran uses foreign terrorist organizations to attack foreign targets. For example, Tehran as the godfather of Hezbollah, is the main sponsor of Hezbollah’s terror operations especially in Lebanon. Including its devastating strikes such as the 1983 bombings of the U.S. Marine barracks and embassد, which killed more than 300 people. On June 26, 1996, Iranian-backed terrorists exploded a massive truck bomb outside the Khobar Towers housing US military personnel in Saudi Arabia, killing 90 Americans and one Saudi and wounding almost 400. Indeed, by supporting Hezbollah, Iran has its hands in the blood of more Americans, than any other international terrorist organization before 9/11. Iranian-backed groups and its ministry of intelligence and security agents have also regularly attacked dissidents in Europe especially the MEK/PMOI members and the members of the National Council of Resistance of Iran (NCRI). By a glance at Iran’s terror operations in the past four decades, not to mention that these are not all of them for sure, we can conclude terrorism is a statecraft policy of this regime for its survival. But if the world had confronted regime’s terrorism with a firm policy, we would not be witnessing the insecurity of the world by so many act of terror by the mullahs regime’s now. 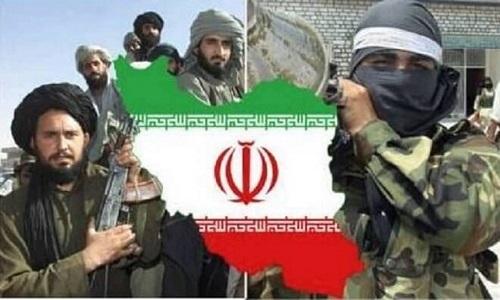 Abandon its appeasement policy and close Iranian embassies, expel all Iranian regime’s terrorist diplomats, intelligence agents and mercenaries of the terrorist Qods Force from the European soil. – The Islamic Revolutionary Guard Corps (IRGC) and the Ministry of Intelligence and Security (MOIS) of the Iranian regime as a whole, must be designated as terrorist entities by the U.S. and the European Union. 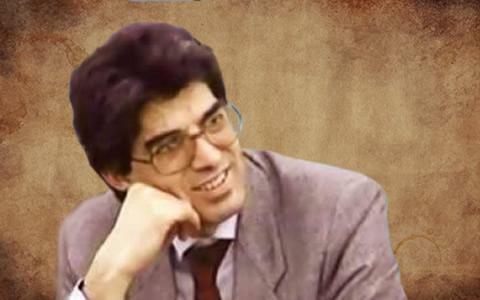 1988, Turkey: Abduction of Mr. Abolhassan Mojtahedzadeh (a member of MEK/PMOI) in Istanbul by Iranian regime’s embassy. They attempted to take Abolhassan to Iran in a convoy of three vehicles with diplomatic licenses. But the Turkish police followed the convoy and stopped it. This incident was published in the media as a diplomatic crisis. April 24, 1990:Kazem Rajavi Iran’s first Ambassador to the United Nations headquarters in Geneva following the 1979 Iranian Revolution, the representative of the opposition National Council of Resistance of Iran in Switzerland and the elder brother of Iranian opposition leader Massoud Rajavi was assassinated in broad daylight by several agents of the Ministry of Intelligence and National Security of Iran as he was driving to his home in Coppet, a village near Geneva. Swiss magistrates later issued an international arrest warrant for a former Iranian intelligence minister, Ali Fallahian. Fallahian and 13 Iranian diplomats are wanted on charge of murdering Kazem Rajavi. March 15, 1993:Mohammad Hossein Naghdi, a member of the NCRI was assassinated in Italy by Iranian intelligence agents. Naghdi was Iran’s former charge d’affaires at the Iranian embassy in Rome. However, he joined the Iranian Resistance in 1982 and became a member of the NCRI representative delegation in Italy. From 1983 onward he became the NCRI representative in Italy. February 20, 1996- Istanbul, Turkey: Zahra Rajabi and a PMOI supporter, Abdul Ali Moradi were cowardly assassinated by the Iranian regime’s diplomat terrorists. Ms. Rajabi was shot 5 bullets at close range by the mullah’s agents arranged by its embassy upon orders issued by Rafsanjani and the regime’s minister of intelligence Ali Fallahian. February. 9, 2013– Iraq: the heavy rocket attack by militias affiliated with the IRGC’s Quds Force against Camp Liberty, the residence of members of Iran’s democratic opposition, the PMOI/MEK, near Baghdad’s International Airport left 12 dead and more than 170 wounded. 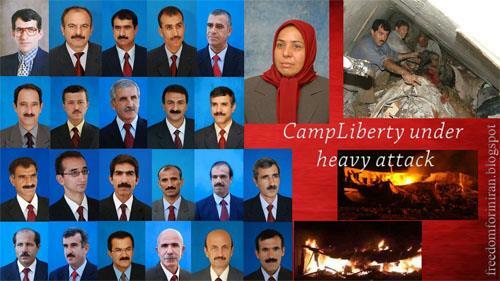 June 15, 2013- Iraq: Another rocket attack on camp Liberty by Iranian agents left 2 dead and many wounded. September. 1, 2013, Right after the dawn the Iraqi mercenaries of MOIS along with a former defector of the MEK/PMOI as their guide attacked the small remaining group of MEK in Camp Ashraf. 52 of them were murdered, actually executioned, with their hands tied at their backs. They abducted seven others (six women and one man) and took them to an unidentified location. Attackers also used explosives to destroy residents’ properties and buildings. The carnage came after a series of attacks at this camp, since Maliki had become Iraq’s prime minister. December 26, 2013- Iraq: The third missile attack was waged on Camp Liberty which left four dead, wounding dozens. 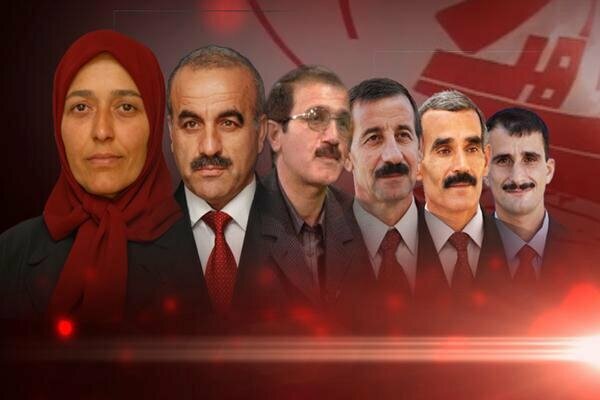 October 29, 2015- Iraq: A terrorist rocket attack at the members of the Iranian opposition PMOI (MEK), Camp Liberty, Iraq, which left at least 24 residents killed and dozens wounded. July 4, 2016- Iraq: Over 50 missiles were fired against Camp Liberty by the Quds Force agents. Parts of the camp were completely destroyed. As many as 40 residents were injured, and astonishingly no one was killed during this massive attack. June 30, 2018: Authorities in Belgium, France, and Germany arrested several Iranian operatives, including Assadollah Assadi, an Iranian diplomat stationed at the mullahs regime’s Vienna embassy, in connection with a bomb plot to be carried out against the grand gathering of the National Council of Resistance of Iran in Paris in June. August 9, 2018: The US arrested two Intelligence Ministry agents of the mullahs’ regime, who were spying on and plotting against the PMOI/ MEK and NCRI members in that country. 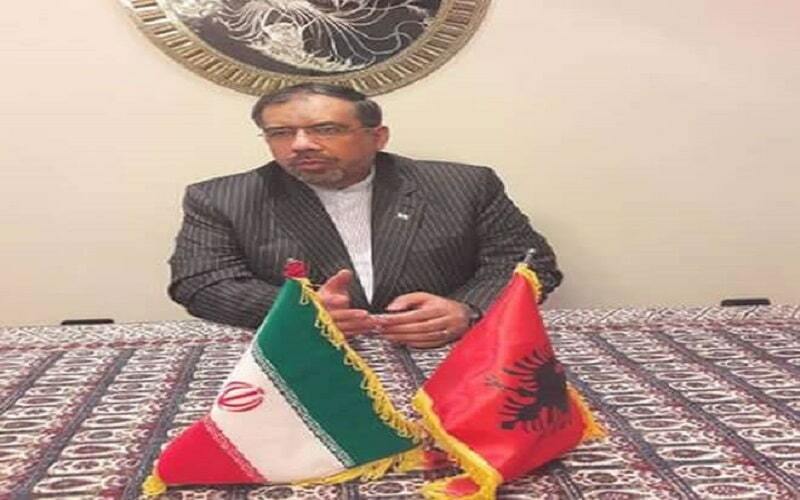 December 19, 2018:Albania expelled Iran’s ambassador to the country, Gholamhossein Mohammadnia, and another Iranian diplomat for “involvement in activities that harm the country’s security” and for “violating their diplomatic status”. The expelled Iranians have plotted terrorist attacks in the country, including targeting MEK\PMOI to silence dissidents. The following is a timeline of Iran’s terror operations on five continents in chronological order. June 14-30, 1985: Athens, Greece: Lebanese Hezbollah – with Iran’s logistical support – hijacked TWA flight 847 and murdered a U.S. Navy diver. December 1985-September 1986 – Paris, France: Lebanese Hezbollah bombed a number of soft targets. Iran provided logistical support, and the attack resulted in 12 dead and at least 200 wounded. July 13, 1989-Austria: Abdul Rahman Ghassemlou the leader of the Kurdistan Democratic Party of Iran (KDPI) was assassinated in Vienna by Iranian agents (MOIS). He was killed by three bullets fired at very close range. August 6, 1991-Paris: Assassination of Chapour Bakhtiar, latest Iranian prime minister of shah along with his secretary, Soroush Katibeh at his residence in the Parisian suburb of Suresnes. September 17, 1992: Iranian-Kurdish insurgent leaders Sadegh Sharafkandi, Fattah Abdoli, Homayoun Ardalan and their translator Nouri Dehkordi were assassinated at the Mykonos a Greek restaurant in Berlin, Germany, by Iran’s MOIS. At the Mykonos trial, the court found Kazem Darabi, an Iranian national who worked as a grocer in Berlin, guilty of murder and sentenced him to life in prison. July 2012 – Sofia, Bulgaria: An IRGC-QF operative was arrested by Bulgarian authorities for surveilling a synagogue. 2012 – Turkey: Four IRGC-QF operatives entered Turkey to attack Israeli targets; the attack was disrupted by Turkish authorities. 2013 – Bosnia and Herzegovina: Two Iranian diplomats were discovered to be Iranian intelligence officers and expelled for espionage and connections to terrorism. 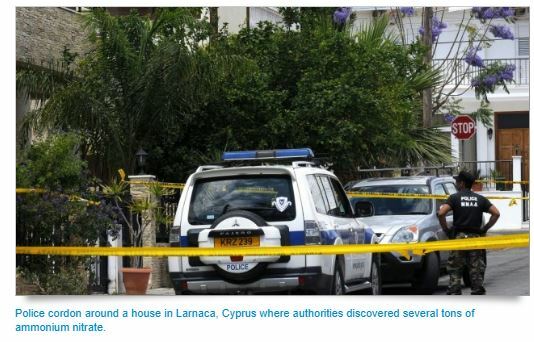 May 2015: Cypriot authorities arrested a 26-year-old Lebanese­ Canadian dual national after finding nearly 8.5 tons of ammonium nitrate, an explosive material, in his basement. According to Cypriot judicial authorities, Hussein Bassam Adallab was a member of Iranian terrorist pro – Hezbollah. December 2015, Netherlands: Ali Motamed, a 56-year-old electrician, was killed outside his home near Amsterdam by Iranian agents. 2016: German authorities convicted an IRGC-QF operative for spying on the ex-head of a German-Israeli group and people close to him. Gennan media reported that the Pakistani’s espionage activities were part of a larger Iranian operation to target pro-Israel groups throughout Europe. November 9, 2017: Ahmad Mola Nissi, 52, the founder of the Arab Struggle Movement for the Liberation of Ahwaz (ASMLA) was shot dead in the Netherlands by Iranian agents. Jan 8, 2019: In a written statement to the Dutch parliament, Stef Blok, the country’s foreign minister, said intelligence services had found “strong indications that Iran was involved in the assassinations of two Dutch nationals of Iranian origin”. October 21, 2018: Denmark, an Iranian Ministry of Intelligence officer arrested at the Göteborg airport in Sweden at the request of the Danish government. He was under prosecution for participating in a terrorist plot against Iranian Arab citizens in Denmark. 2018 – Germany: German authorities searched the homes and offices of 10 suspected IRGC-QF operatives in early 2018. January 15, 2019: German police arrested a 50-year-old Afghan-German man suspected of passing military secrets to Iran. October 2010- Nigeria: Nigerian authorities seized an Iranian shipment of rockets, rocket launchers, grenades, and ammunition destined for rebels in the Gambia and Senegal. June 22, 2012: Nairobi, Kenya: Two IRGC-QF operatives were arrested for planning bomb attacks against Western interests. Authorities discovered 33 pounds of explosive materials. February 20, 2013- Nigeria: Three Iranian operatives were arrested for planning attacks against U.S. and Israeli tourist sites and organizations. A terrorist cell leader received weapons training in Iran. 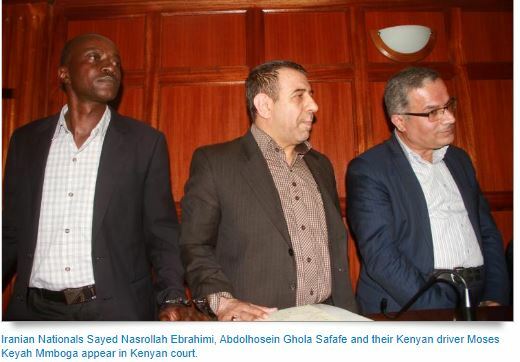 November 2016- Kenya: Two Iranian operatives and their Kenyan driver, a local embassy employee, were arrested and charged with information collection in connection with a terrorist act after surveilling the Israeli embassy. July 22, 1980- Bethesda, MD, United States: An Iranian operative assassinated a former Iranian diplomat-in-exile, Ali Akbar Tabatabai, a vocal critic of then-Iranian Supreme Leader Ayatollah Ruhollah Khomeini. September 2009- Glendora, CA, United States: An Iranian operative hired a hitman to assassinate an Iranian-American regime opponent and radio personality. September 29, 2011- Washington, DC, United States: U.S. agents disrupted an assassination plot allegedly directed by the Iranian government targeting Saudi Arabia’s ambassador to Washington, Adel al. Jubeir. The FBI’s investigation into the plot discovered that Mansoor Arbabsiar, a dual U.S.-Iranian citizen, and Gholam Shakuri, an IRGC-QF commander, were planning to kill al-Jubeir with a bomb at a restaurant. They also planned to subsequently bomb both the Saudi and Israeli embassies in Washington D.C. and were also considering carrying out attacks in Buenos Aires. Arbabsiar was arrested on September 29,2011at JFK International airport, confessing to the plot and receiving a 25-year prison sentence, while Shakuri remains uncaptured. 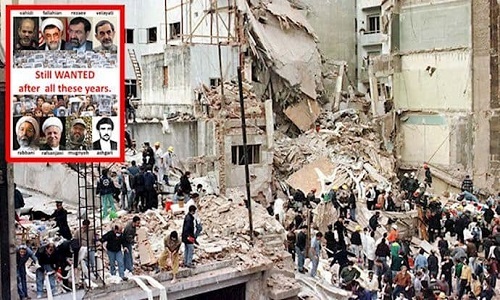 March 17, 1992- Buenos Aires, Argentina: Lebanese Hizballah detonated a VBIED outside the Israeli Embassy. Iran provided logistical support. The attack killed 29 people and wounded 252. 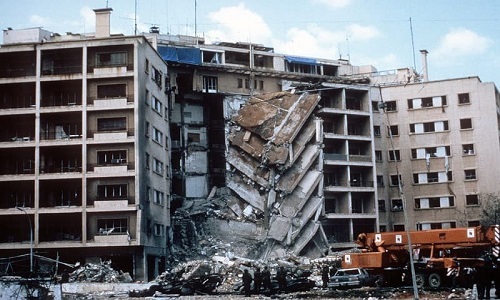 July 18, 1994- Buenos Aires, Argentina: Lebanese Hizballah detonated a vehicle-borne improvised explosive device (VBIED) outside the Argentine-Israeli Mutual Association. Iran provided logistical support, and the attack resulted in 95 dead and 200 wounded. Argentina accused Tehran in 2006 of being behind the attacks and indicted several senior Iranian officials, including Hashemi Rafsanjani and Ahmad Vahidi, as well as Hezbollah’s Imad Mughniyah. January18, 2015: Alberto Nisman an Argentinian lawyer was found dead at his home in Buenos Aires. He worked as a federal prosecutor, noted for being the chief investigator of the 1994 car bombing of the Jewish center in Buenos Aires, which killed 85 people, the worst terrorist attack in Argentina’s history. Nisman formally accused the government of Iran of directing the AMIA bombing, and the Hezbollah militia of carrying it out. A federal judge in Argentina has indicted former President Cristina Fernandez, saying that she had worked behind the scene to whitewash Iran’s role in one of the deadliest terrorist attacks in American continent before Sept. 11. January 8, 2015– Montevideo, Uruguay: A senior Iranian diplomat was expelled for planning an attack near the Israeli Embassy. August 1987 -March 1988- Saudi: The Saudi branch of Hezbollah (Hezbollah al-Hejaz) was founded in May 1987, and shortly thereafter, Iran set about recruiting radicalized Shi1tes in Saudi Arabia’s oil-rich and heavily Shi’a Eastern Province to carry out attacks. With the help of Iran’s Islamic Revolutionary Guard Corps (IRGC) and embedded agents within Saudi petroleum facilities, Hezbollah al­ Hejaz embarked upon a series of high-profile attacks targeting Saudi oil interests between Augusts 1987and March 1988. In August 1987, Hezbollah al-Hejaz bombed a gas facility in Ras al-Juaymah. 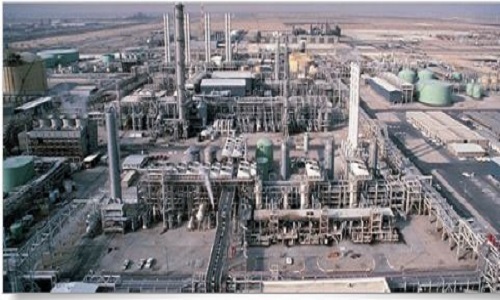 In March 1988, the organization bombed a petrochemical plant in Jubail and a refinery in Ras Tanura, while a bomb planted in Ras al-Juaymah failed to detonate. After the attacks, Saudi authorities captured three Hezbollah al­-Hejaz operative following a standoff in which several policemen were wounded or killed. The operatives were publicly executed in September 1988. 2003-2011I-raq: Following the 2003 U.S. invasion of Iraq, Iran undermined U.S. operations by ‘“consistently [supplying] weapons, its own advisors, and Lebanese Hezbollah advisors to multiple residence groups in Iraq, both Sunni and Shia,” which targeted Coalition Forces. For the U.S.,” concern [revolved] around Iran’s role in arming and assisting Shiite militias.” 1n Iraq, ‘the top killer of U.S. troops were IEDs (improvised explosive devices). May 16, 2011- Karachi, Pakistan: Iranian operatives assassinated Saudi diplomat Hassan al-Qahtani. February 13, 2012- New Delhi, India: IRGC-QF directed a bomb attack targeting Israeli diplomats that injured one Israeli and three Indian citizens. The report states: “we believe Iran is seeking to inflict casualties on U.S. and NATO forces.” In2010, multiple media sources reported Iran was “paying Taliban fighters $1,000 for each U.S. soldier they kill in Afghanistan.” over a six-month period in2010, one “Taliban treasurer” claimed to have collected more than $77,000 from ( an Iranian firm in Kabul) as payment for killing Americans. February 14, 2012- Bangkok, Thailand: Three IRGC-QF operatives planned attacks against Israeli diplomats in Thailand, but the operatives were arrested after accidentally detonating explosives. One operative and five others were injured. April 13, 2013- Kathmandu, Nepal: An Iranian traveling on a fake Israeli passport was arrested for conducting surveillance of the Israeli Embassy. 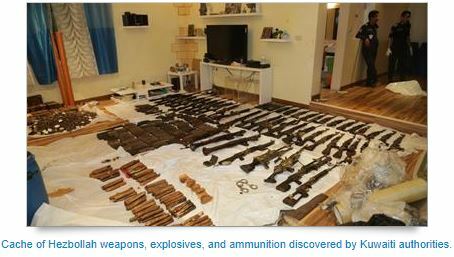 June 2015- Bahraini: As part of the investigation into the explosives smuggled aboard a passenger bus in March 2015, Bahraini officials discovered a warehouse in the village of Dar Kulaib containing a large quantity of high-quality explosives and bomb-making materials. The warehouse contained 222kg of TNT, some of which was not locally manufactured. The Bahraini investigation alleged that Murtadha Majeed Ramadhan al-Sind a Bahraini fugitive in Iran working with the IRGC, and Qassem Abdullah Al another Bahraini fugitive in Iran, formed a and recruited a terror cell to attack Bahrain and Saudi Arabia. This included providing military training to cell-members, smuggling explosives, and traveling to Iran and Iraq on explosives training, fire-arms usage, and scuba diving to plant explosives offshore. The training in Iraq was carried out by Kata’ib Hezbollah and the IRGC, who also provided the cell with logistical and financial support. August 2015: Kuwaiti officials foiled a plot by Hezbollah to carry out attacks in the country, planned by 25 of its own nationals and 1Iranian. Authorities seized a huge arms cache they say was smuggled from Iraq and hidden underneath houses close to the Kuwaiti-Iraqi border. Kuwait’s Al­ Abdali area, they discovered a total of 42,000 lbs. Of ammunition, 144 kg of explosives- including C4 explosives- 68 weapons, and 204 grenades. The cell was charged with plotting with Iran and Hezbollah to destabilize Kuwait’s national security. December 2015-Iraq: Shiite militants, Katai’b Hezbollah, an Iranian proxy group in Iraq, kidnapped a party of 29 Qatari falcon-hunters expeditions in the southern Iraqi desert. The Shiite group allegedly transferred the Qataris to Iran, where they were held for over a year, only releasing them in April 2017 in exchange for hundreds of millions of dollars in ransom money. In a press conference that month, Iraqi Prime Minister Haidar al-Abadi revealed that Iraqi officials had seized bags full of cash belonging to Qatari officials that were intended to be delivered to Kata’ib Hezbollah, estimated at $500 million. Without naming the group,al-Abadi said that the country’s national security would have been severely jeopardized had the money reached its intended recipients. However, later reports claimed that a total of $1billion had already been delivered by the Qataris $700 million going to Iran, and the remainder to Kata’ib Hezbollah. January 20, 2016- Bahrain: Bahrain caught a terrorist cell backed by the IRGC and Hezbollah which was in the midst of plotting a series of bombings. According to a report by Bahrain’s official news agency, one of the suspects had travelled to Lebanon and met personally with Hezbollah leader Hassan Nasrallah, who gave him $20,000 to aid the cell. February 2016 – Manila, Philippines: Philippine authorities thwarted an Iranian plot to hijack a Saudi Arabian civilian aircraft. July 2016-Bahrain: Bahraini authorities arrested a five-member terror cell linked to the IRGC and Kta’ib Hezbollah. They said the suspects had received extensive military training in bomb­-making and carrying out attacks at both entities’ training camps. Authorities discovered and seized an arms cache including explosives, weapons, communications devices, and detonators. They also found daggers, knives, and various currencies. February 26, 2017- Bahrain: A 14 member cell linked to I.ran carried out a bomb attack on a bus carrying Bahraini police officers, wounding five.They were arrested the next month by Bahraini authorities. According to Bahraini officials, six of the arrestees received military training in lRGC camps, five in Kata’lb Hezbollah facilities, and three in Bahrain. Weapons, locally-made explosives, and communications equipment were seized from the homes of the suspects. The cell was also suspected of plotting attacks against senior Bahraini officials. June 16, 2017- Saudi: Saudi naval forces intercepted three Iranian boats flying red and white flags that entered Saudi Arabia’s national waters. Saudi forces noticed the boats speeding towards Saudi Arabia’s offshore Marjan oil field’s installations, and began firing unheeded warning shots in their direction. Two of the boats succeeded in fleeing, but the Saudi navy managed to capture one of the boats, carrying three IRGC members and laden with arms intended for subversive activities. Iran has denied any wrongdoing, claiming the boats were actually fishing vessels which drifted off­ course. December 27, 2017: The United Arab Emirates’ federal appeals court in Abu Dhabi sentenced a 28-year-old Emirati military personnel to 15 years in prison for espionage for Iran. October 30, 2017: A Bahraini court sentenced 19 men to lengthy jail terms on charges of spying for the Iranian regime and plotting to overthrow Bahrain’s legal government, ‘The New Arab’ reported quoting judicial sources.